Whether you’re planning a milestone birthday, a family celebration, an intimate wedding or you’re looking for a unique setting for a corporate event, private dining offers an idyllic solution. A private dining room offers more than just a seclusion, it is an opportunity to wow your guests, make a lasting first impression with an enticing space and offers a relaxed and informal alternative to a formal meeting area. When it comes to selecting a private dining space, there’s a lot to take into account and many key elements to bring the event together. 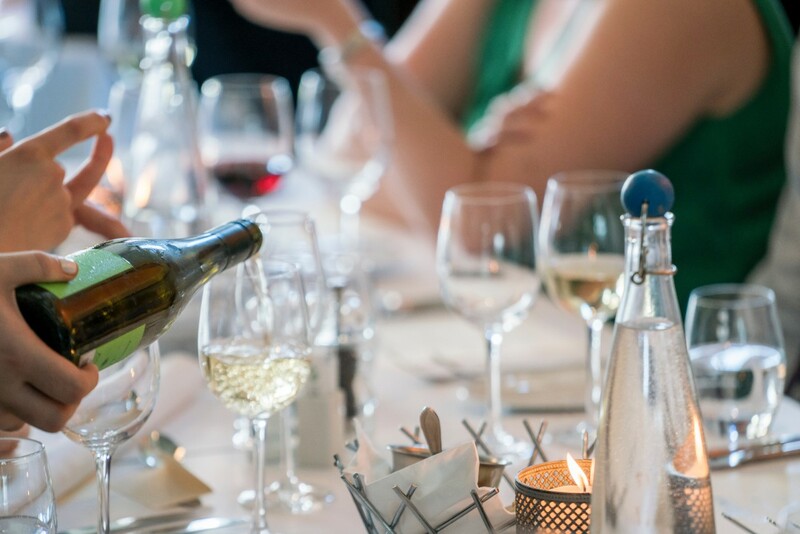 From theme selection to costings and dietary requirements, there is plenty to consider when arranging a private dining event. To help you select the perfect event space, we’ve compiled our top tips for choosing a private dining room that will guarantee a memorable event for your guests. Private dining offers the best of both worlds; luxurious restaurant-quality service combined with the intimacy of a private setting. Private dining is the perfect setting for intimate occasions as well as larger parties. This style of dining enables you and your guests to enjoy a truly memorable fine dining experience in the intimacy of your own dedicated space. What events are suitable for private dining? Private dining is a truly versatile solution and can be tailored around any occasion. It boasts many elements to compliment an array of both corporate and personal events. Theming your event immediately elevates your occasion to an experience and plays a vital part in shaping the entire occasion. Deciding on the overall event theme is a great first step and will tend to shape other key elements once established. From informal platters of nibbles, to formal events with silver service, the theme you choose will have a dramatic impact on the style, feel and atmosphere of the entire event. The beauty of fine dining experiences is the versatility of the cuisine on offer, and when it comes to private dining, the food is the ultimate focal point. With so much focus on the culinary experience, it’s crucial the menu selection is perfectly suited to the occasion, your guests’ taste buds and, ultimately, your budget. If you are looking for an informal, relaxed dining experience for your guests, sharing platters showcasing your favourite cuisine for a ‘tear and share’- style experience is the answer. This enables your guests to tempt their palettes with a variety of dishes and share in the group feasting experience. Alternatively, if you are looking for a more formal affair, why not turn heads with a delicious set menu served on a silver service? When planning your event, ensure you thoroughly research dietary requirements to ensure your loved ones are perfectly catered for. Discussing vegetarian and vegan options, as well as specific allergies, will ensure all guests can enjoy the food, won’t feel alienated and can fully immerse themselves in the celebrations. What dining rooms are available? Are the dining rooms private or semi-private? What is the dining room capacity and what are the costs per head? What are the culinary options available for private dining, and what impact these options have on costings? How can the private dining room be decorated and themed for your bespoke event? The bottom line is of pivotal importance when it comes to event planning. The overall cost per head will impact significantly on the size of venue you select, the style of cuisine and the number of guests you invite. Ensure when looking at costs per head, drinks are also factored into the fee, so you don’t have any surprises when it comes to settling the bill. When planning a luxury private dining room experience, you want everyone on your guest list to be able to make it, so choosing the location of your event is crucial. A centrally-located venue will not only be convenient for your guests but will also give plenty of options for transport links, increasing the likelihood that they’ll be able to attend. A central venue, perhaps in London, also offers guests an array of options when it comes to a convenient overnight stay, with a range of options to suit preferences and budgets. The Grubstreet Author is a perfect venue to host your private dining event. Boasting three striking event spaces, our unique London venue offers sleek contemporary design alongside a setting oozing heritage. Our venues are as unique as you, and with exclusive private dining and award-winning contemporary cuisine, The Grubstreet Author is an impactful venue perfect for any occasion. Get in touch today to find out more and start planning your special event today.